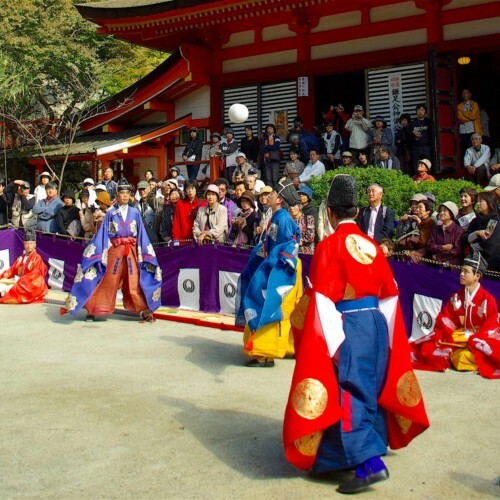 The Inuyama Matsuri is a 300 year old festival that presents an offering of "Karakuri" to the deity of Haritsuna Shrine. 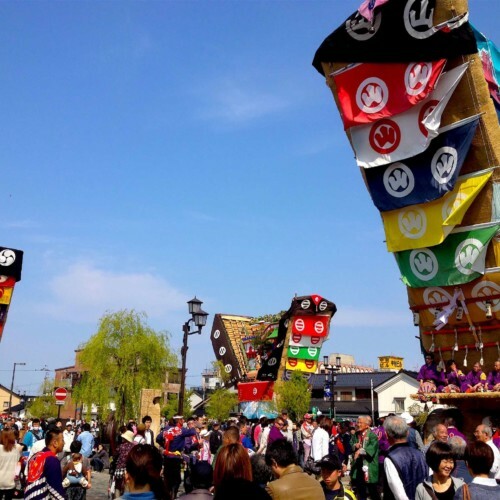 The Karakuri in the Inuyama Matsuri refers to a set of puppets featuring a complicated contraption, or "trick," made possible with strings, that allows the puppets to dance and act gorgeously. 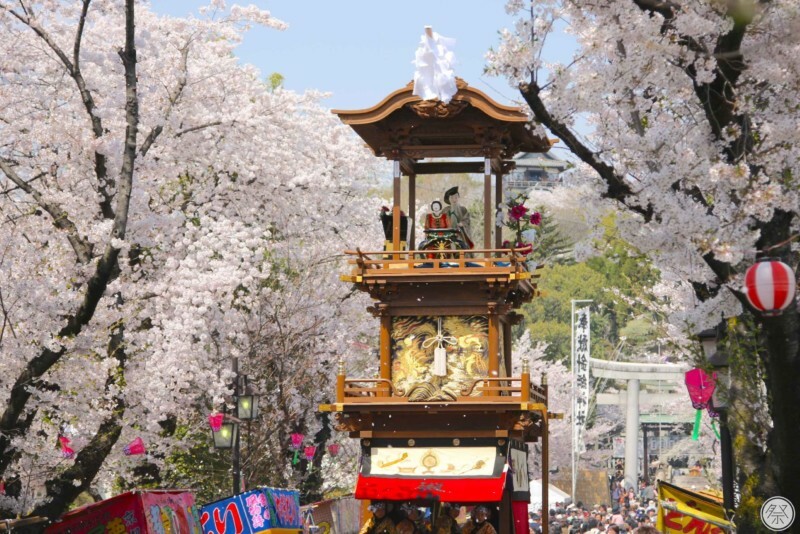 There are Karakuri puppets on each of the thirteen giant floats—some reaching up to 8 meters—that parade along side the beautiful local Cherry Blossom (Sakura) trees in full bloom. At night, the floats all turn on 365 Chochin lanterns at the same time and parade the town. Distinctly different from the afternoon parade, this one offers a splendid and glamorous view of a glowing flow of countless intertwining lights. 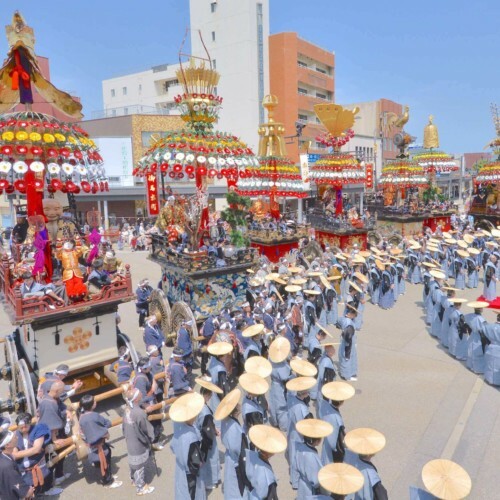 As of 2016, the floats of Inuyama Matsuri have been listed as a UNESCO intangible cultural heritage. 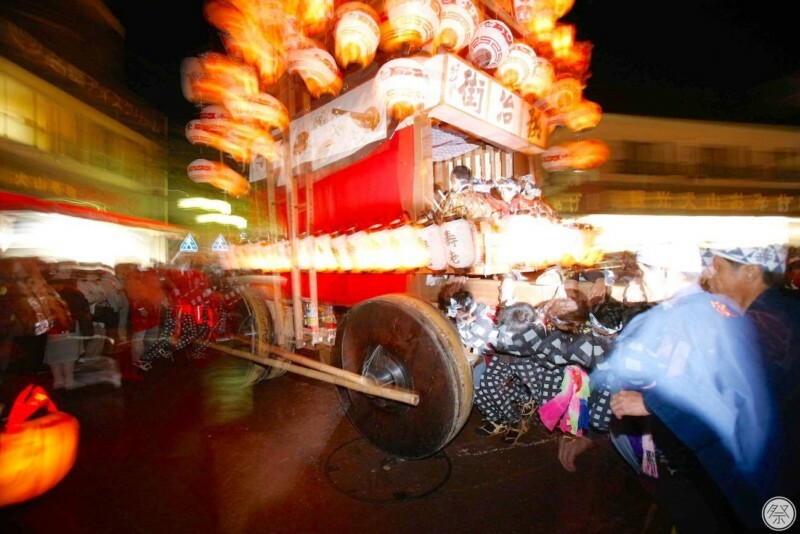 1．Enjoy the movements of the beautiful and traditional Karakuri Ningyo! 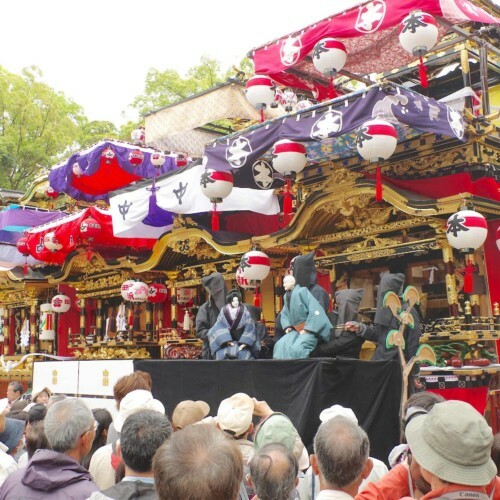 Floats at this festival include puppets, or "Ningyo," called Karakuri Ningyo. They are very traditional and are controlled by hand. The puppeteers climb inside the floats and elaborately maneuver the puppets in a splendid dance to the festive music provided by flutes and drums. The movements and acting of the puppets during the climax are so mesmerizing you might not be able to keep from cheering with the rest of the audience. 2．Don't miss the powerful highlight, the Donden! The "Donden" is what the locals call it when the whole crew of men driving the five ton float lift it up off the ground to change directions. The squeaking wood of the float, the waving lanterns, the flying cheers. You will not want to miss this powerful and satisfying moment! Festival Dates April 6th (Sat) to 7th (Sun), 2019. Continued in light rain. Cancelled in hard rain. Held annually on the first weekend of April. International Reception and Info. There is a multilingual pen-shaped guide known as Oto Enpitsu. Wi-Fi Available in information offices in the town surrounding the castle. Be cautious around the floats. 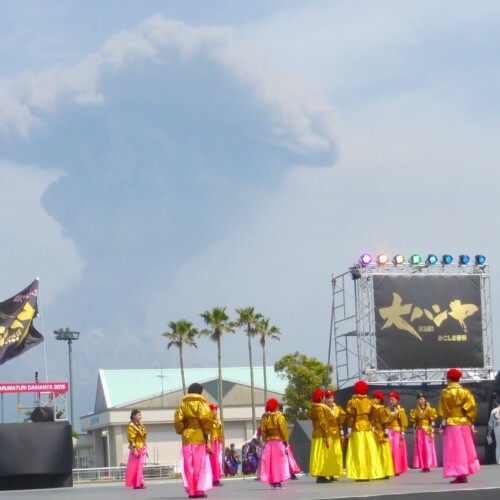 20min walk from the West exit of Inuyama Station on the Meitetsu Line to the main venue square at the Inuyama Castle.